When a large company loses millions of dollars in a data breach, the incident hits the headlines immediately. Last year only, we saw a number of such stories. Equifax, Uber, Deloitte were just some of the resonating names that were breached in 2017. On the other hand, when a similar thing happens to a smaller business, the general public hardly hears about it. Such a lack of media coverage is one of the reasons why small businesses are rarely considered hackers’ targets. However, small companies are actually at even higher risk than big companies. According to Symantec’s 2016 Internet Security Threat Report, 43% of all cyber attacks in 2015 targeted small businesses. The reasons are evident. Businesses often do not invest much in securing their data. Hackers know this and will target smaller firms intentionally, knowing they can’t afford the same software and tools as the major players. You won’t hear that in the news, but breaches of smaller companies happen regularly. If you want to prevent this from happening to your business, consider implementing some of the following cybersecurity best practices. The steps listed below can help level the playing field. “The bottom line is that as a small business, you are an easy target. Hackers know that you do not have the same security as a bank or major retailer”, according to Ian McClarty, a cybersecurity specialist from phoenixNAP. You might not be able to invest in the large-scale protection that large corporations can afford, but there are plenty of other ways to safeguard your business. 1. 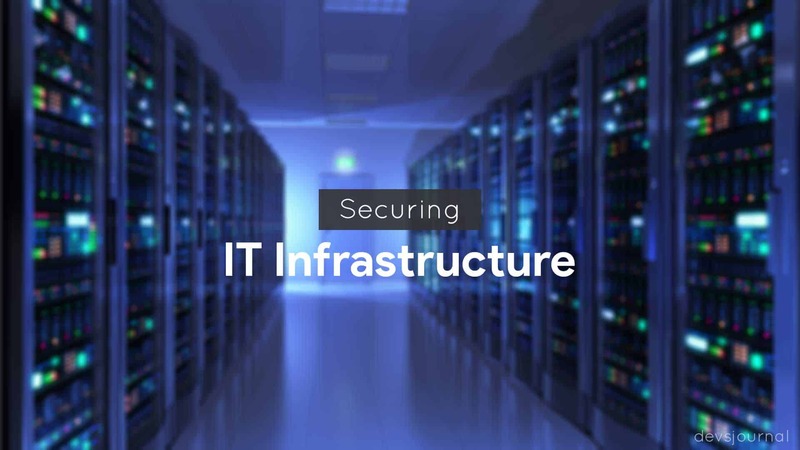 Protect your business data by securing your IT Infrastructure. Business owners often neglect to tighten their infrastructure and data storage policies. For example, you might have decided to keep some data on an unsecured server with the intention of fixing it later, and then forgotten to do so. This does not just place that data at risk: it is a potential entry point into the rest of your system. It is very common to see businesses running outdated software. Running a major update can be irritating and time-consuming. However, the more time goes by, the harder it is to update and the more vulnerable you become. Outdated software is easy to find and easy to breach. This includes everything from the operating system updates on workstations to the firmware for your routers. It is crucial to develop a set of standards and practices that define the kind of security that you use, where different types of data will be stored, and how often you will update everything in the system. As a way of enforcing this, consider running occasional penetration tests on your network. These can uncover vulnerabilities that you did not know existed. They are useful for showing you how to organize data and store it to keep it safe. Remember that no security is entirely foolproof. The goal is to make your security strong enough to be able to cope with the most common threats such as Zero-day attacks, ransomware, and DDoS. The most common mental image of a hack attack is penetration from an exterior threat, like a criminal organization based in Russia or China. However, more than half of all data breaches come from current or former employees. In other words, they are internal threats. There are two main ways for employees to become security liabilities. The first is through actual malice: a worker becomes disgruntled over being laid off, tries to get revenge over a missed promotion, or looks to make some cash by selling data. 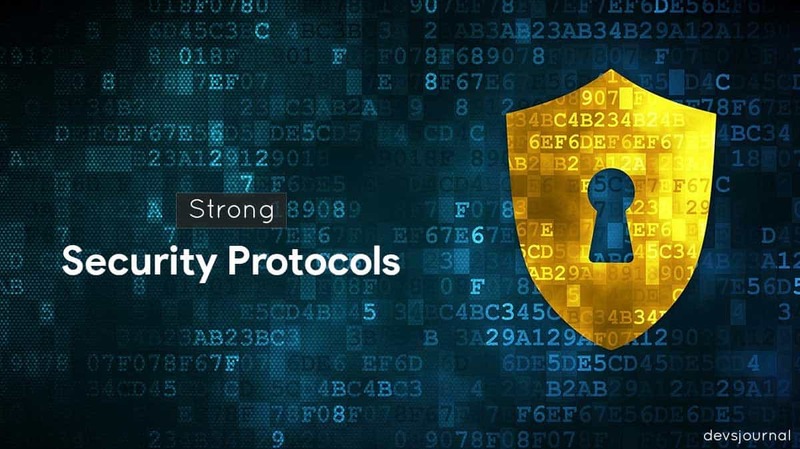 Stopping these comes down to protocols. Always ensure that fired or laid-off employees promptly lose any and all access to the network. Then change any relevant passwords or codes to protect the company. Work with IT to set clear permission protocols that limit what each employee can access. Nobody should be able to access more than what they need. The second usual scenario is accidental lapses in protocol. This can be as simple as forgetting to change passwords or reusing passwords repeatedly. Here, policy and proactive action work well. Don’t just tell employees to change their passwords: ask IT to force monthly password changes. Hold regular meetings about security and reward employees for compliance with the protocols. The most prominent risk is that you cannot invest in the highest-quality enterprise security. However, if you opt to store some or all data and processes in the cloud, then you can avoid this issue. Trusted cloud providers will have far better security than your in house solutions because of their expertise. By storing your data with them, you can leverage their advanced security systems to protect yourself. It might cost more than local storage, but cloud providers’ infrastructure is harder to breach than your network. Cloud security is not perfect. In some cases, it might not be appropriate to place data in the care of a cloud provider. For example, personal medical information has special laws governing its use and storage. Cloud security also adds a layer of complexity to accessing the data. That means it might not be ideal for data that nontechnical employees and staff have to access regularly. In many circumstances, though, you get the benefits of a more robust security suite at a fraction of the price. There are other benefits to using the cloud as well, like uptime, redundancy, and global access. Those are separate from security but might influence your decision to use cloud services. You can still deter potential attackers by following cybersecurity best practices. It does not take much to ward off attacks as long as you create and then adhere to proper protocols. Keep in mind that what attackers want is easy targets. If you make yourself difficult to attack, they will not try harder to get in: they will just give up and try to find a softer target. A little vigilance and proactive security go a long way to keeping you and your clients safe from a breach. On the flip side, hoping to go unnoticed is sure to attract hackers looking for easy prey.